When you choose to become parent to a wonderful new pet, you open yourself to a whole host of different responsibilities. Keeping your animal safe from harm is undoubtedly one of your biggest priorities, and one of the best ways to do this is do everything you can to keep her healthy. This means feeding her the right nutrition, ensuring she gets enough exercise and, just as importantly, is protected from the diseases that can that put her health and wellbeing at risk. There are numerous illnesses and diseases facing our pets, some of which can have life-altering consequences or even prove deadly. As caring and conscientious owners, we have the ability to prevent our beloved animals from contracting some of these illnesses, which will protect them from their devastating and debilitating effects. This is because there are now more pet vaccines available than ever before. What are pet vaccines and how do they work? Pet vaccines are identical in design to human vaccines. They involve injecting tiny amounts of antigens that are masquerading as the disease into your pet, triggering her immune system to fight against it. If your pet is exposed to the disease in the future, your body will recognize and automatically fight it again and much more effectively. While some vaccines may protect your pet entirely, others may simple reduce the severity of the associated symptoms so that the disease is safer and more manageable. - Controlling the spread of infectious diseases to other animals in your home and the surrounding area. - Some infectious diseases can be spread to humans in your home, so vaccinating your pet can help keep your family safe too. - Reducing the risk of complications associated with the disease. - Fewer stressful visits to our veterinarian. - Fewer expensive veterinary bills! - Support your pet to live a long, healthy life. What are the most important vaccinations for my pet to have? While there are a wide range of preventative vaccines available, there are certainly some which are more important than others. 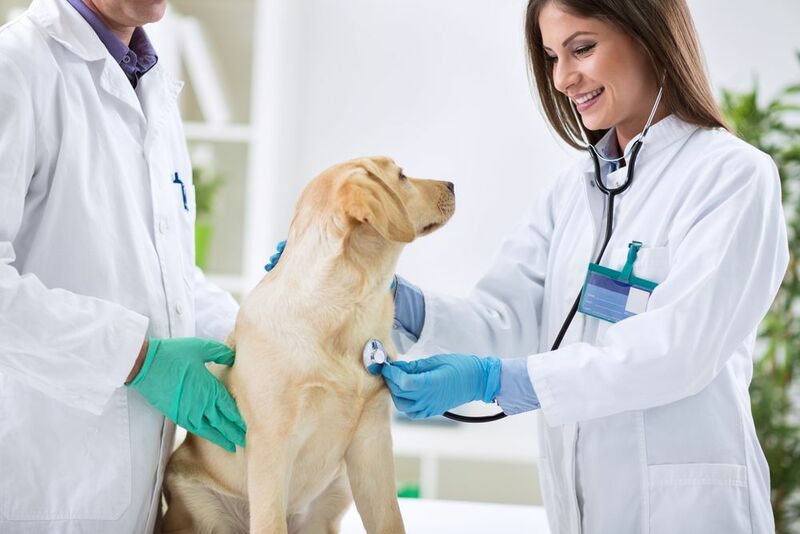 The vaccines that your pet needs will depend on her species, age and breed, and our veterinarian will be happy to work with you to establish a robust vaccination schedule that will ensure that your pet remains protected at all times. Our veterinarian will be happy to discuss the finer points of each of these vaccines with you before you commit to a preventative vaccination schedule. Some states have very definitive regulations with regards to the vaccination of pets living there. For example, Washington State specifies that all domestic dogs, cats and ferrets must be vaccinated against rabies, and failure to show proof of this to the animal control department could result in you being issued with a fine. If you are planning on putting your pet into boarding kennels, will be using a grooming parlour or enlisting the service of a dog sitter or walker, you may also be asked to show proof of your pet’s vaccinations. This is so the service you are using can be sure that your animal will not pass infectious disease to others using them. For further advice on pet vaccinations, arrange an appointment with our local veterinary team. Vomiting is the #1 reason pet owners visit the animal ER. Not knowing what causes vomiting in pets can increase the fear that something is seriously wrong thus spurring immediate action – often a visit to the nearest vet. If you’re wondering what to do if your dog is vomiting, let’s have a closer look so you can be prepared for anything. As a note, the best safety precaution is always to call the vet if you suspect a problem with your pet. It helps to make sure that any potentially problematic issues are found and remediated before causing more issues. If you haven’t had a dog before, you may well be wondering whether your canine companion would prefer to be indoors or outdoors. Figuring this out may be easier said than done, particularly as most dogs enjoy spending time both inside your home and outside. Lake Emma Animal Hospital shares a various list of alternative food for diabetic pets. To know more, call 407-333-2901 today! There are many conditions that can cause an imbalance in the digestive process and cause your pet to experience episodes of diarrhea. Call 407-333-2901 for details. Lake Emma Animal Hospital believes that there will be a number of different distemper symptoms that may become apparent to your cat. Call us at 407-333-2901 to know more. Lake Emma Animal Hospital shares some of the most frequently asked questions we hear about pet grooming and their answers. Call 407-333-2901 today! How do Microchips Work in Pets? Microchips are widely used across many industries including the veterinary service. Know more on how microchips work and call Lake Emma Animal Hospital at 407-333-2901 today! How Often Should your Pet be Vaccinated? Vaccines have saved countless lives over the last half century alone. Nevertheless, the frequency with which we vaccinate our pets is a regularly debated topic. Learn more at Lake Emma Animal Hospital. Pet bloat occurs when there is an abnormal accumulation of gas in the stomach. Know its causes, prevention and treatment at Lake Emma Animal Hospital. Much like humans, there are a variety of different things that can cause your pet to suffer from a range of allergy symptoms. Click here to know more. As caring and conscientious owners, we have the ability to prevent our beloved animals from contracting some of these illnesses through pet vaccinations. Learn more here. Is it Necessary to Clean your Cat’s Teeth? Something that many owners overlook is the importance of dental care to their furbaby. Know more at Lake Emma Animal Hospital. Are Vaccinations Necessary for Cats? Know information about cat vaccination and how it can improve your furry friend's optimum health. Contact Lake Emma Animal Hospital at 407-333-2901 for details. Lake Emma Animal Hospital shares with you the reasons why it is important to take care of the dental hygiene of your pet. For more information, contact us at 407-333-2901. Learn the tips and guidelines on how to introduce your furry friends to kids by Lake Emma Animal Hospital. Contact us at 407-333-2901 for details. Learn how to make your cat healthy and fit with these guidelines provided by Lake Emma Animal Hospital. Contact 407-333-2901 for details.